The interfaith tree planting at St Anselm’s Church aims to promote community spirit, create interfaith connections and improve the natural beauty of the area. 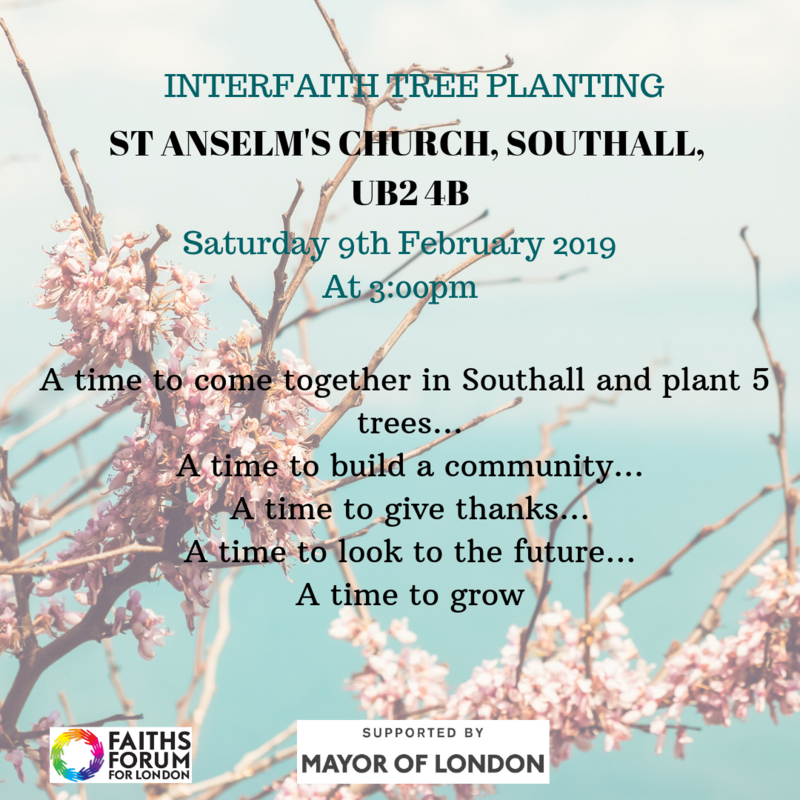 On the 9th of February 2019, Faiths Forum for London and St Anselm’s Church will be planting trees together at 3:00pm. We will be planting 5 Sorbus aucuparia Edulis trees which have been funded by the Mayor of London. We welcome you all to join us to foster cooperation between different faith groups and encourage more interaction in local communities.